ADDIS ABABA — Ethiopia may delay plans to join the World Trade Organization in 2015 if the country is required to liberalize its tightly regulated telecoms and banking industries sooner than it would like, the trade minister said. Kebede Chane told lawmakers late on Tuesday that member countries had raised dozens of questions with Prime Minister Hailemariam Desalegn’s government, focusing on the time frame for opening up the service sector to international competition. Ethiopia’s fast-growing market of 90 million people has lured foreign investors from Sweden, China and Turkey to its manufacturing sector. But laws deny outside firms access to areas viewed domestically as cash-cows or politically sensitive. Washington, which wants Ethiopia to allow more competition, said it was committed to renewing its African Growth and Opportunities Act with Addis Ababa, an accord that gives Ethiopia-made textiles preferential access to U.S. markets. Addis Ababa, with its strong state-interventionist policies, has one of sub-Saharan Africa’s fastest growing economies and its fifth biggest. But it has spurned the liberalizing approach of other African markets to shield its infant private sector from foreign competition and to keep profits at home. Reuters revealed this week that Ethiopia – once run by communists – was pushing the door ajar to outside investors by offering management of government-owned enterprises while leaving the state in full control. “(Washington)is interested in ways to update the legislation to encourage diversification within Africa’s economies, which will better support the continent’s growth, development and competitiveness,” U.S. Secretary of Commerce Penny Pritzker said in a statement after visiting Ethiopia. Other big brands are prising open the door in areas opened up by the government. Drinks giant Diageo DGE.L bought a brewery and fashion retailer Hennes & Mauritz makes garments in Ethiopia. Trade officials said last year that Unilever and Nestle were both sniffing around. However, Ethiopia has held onto control of its telecoms monopoly and kept foreigners out of retail and banking. 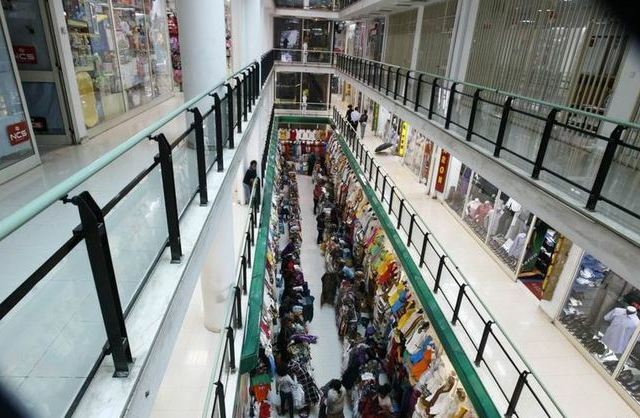 A U.S. management consultancy firm this week announced its deal to run Ethiopia’s just-launched state-owned cash-and-carry chain, the first such retail concession. Kebede said Addis Ababa was under pressure to deepen reform to liberalize its service industries before the conclusion of its current five-year economic plan ending in 2015. The minister cited Asian powerhouse China, which he said took 50 years to accept membership into the global trading club. New WTO rules adopted in 2012 lowered the bar for joining for the world’s least developed countries. They allow members to open fewer sectors, liberalize fewer types of transactions, and only open up their markets as their economies develop. “We are now looking into which laws are compatible with WTO’s regulations and which are not. We are taking one step at a time. As a result, membership might not be completed (in 2015),” Kebede said.